The emphasis of the training was on lifesaving techniques, for both the driver and the students. Transportation assistants Denise O’Boyle, Liz Gorham, Cheryl Guiliano, Cathy Helder and Evelyn Conti observe the proper technique of securing a child in a wheelchair on a school bus. Imagine a worst-case scenario. A school bus transporting handicapped children is in an accident and the bus now has caught fire. How does the bus driver safely and swiftly evacuate all of the passengers, including a child who may be medically fragile and confined to a wheelchair? Washington Township Public Schools transportation manager Genia Sullivan and her assistant Suzanne O’Donnell hope their 80 bus drivers and aides never encounter such an incident, but thought it crucial to give the transportation staff a thorough, hands-on training on emergency bus evacuation procedures on Monday, Aug. 21. 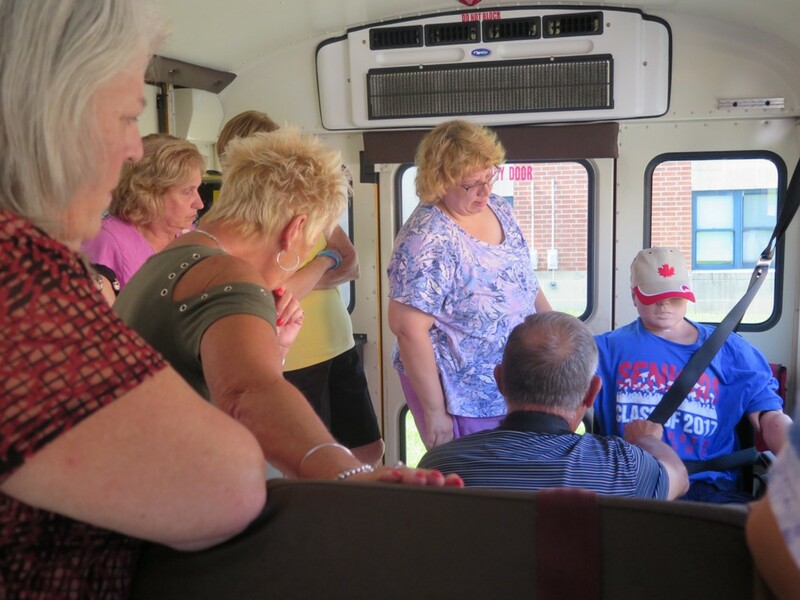 GCSSD JIF instructor Jim Weber coaches bus driver Rich Lillich as he evacuates a handicapped child from the back of a school bus. Trained fire and rescue specialists and certified instructors from the Gloucester, Cumberland and Salem County School Districts Joint Insurance Fund (GCSSD JIF), Jim Weber and John Geitz demonstrated, through the use of a life-sized mannequin, the proper way to load, secure and unload a child in a wheelchair, and how drivers and aides should best evacuate that child in the event of an accident or fire, without putting their own health at risk. GCSSD JIF instructor Jim Weber demonstrates proper evacuation procedures using a mannequin to simulate a real-life rescue. Looking on are members of the District’s transportation staff including Ginny Fiscaro, Gayle Hainey, Theresa Reynolds, Deanne Nafziger and Bonnie Rappselli. 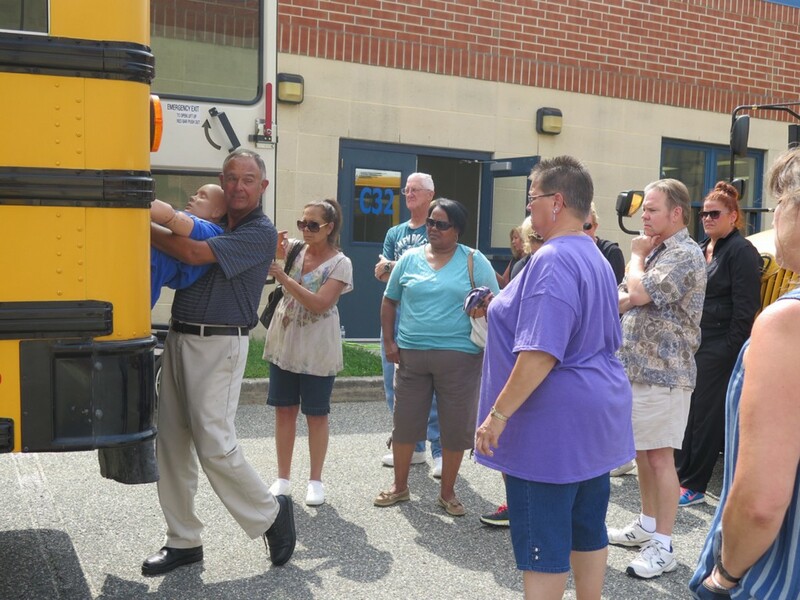 In addition to the bus evacuation training, the transportation staff underwent fire extinguisher training.